CMA provides comprehensive step by step support in real-time, before, during and after the insulation measurement. Step by step guide to sound insulation measurement according to ISO 16283-1 (default procedure and fixed microphone positions method) and ISO 140: Airborne sound insulation, facade sound insulation, impact sound insulation and reverberation time. New working philosophy. The most innovative, fastest and easiest way to measure sound insulation. CESVA Measuring Assistant is the piece that completes the definitive solution of CESVA for the measurement of sound insulation. A user-friendly, fast and innovating solution. 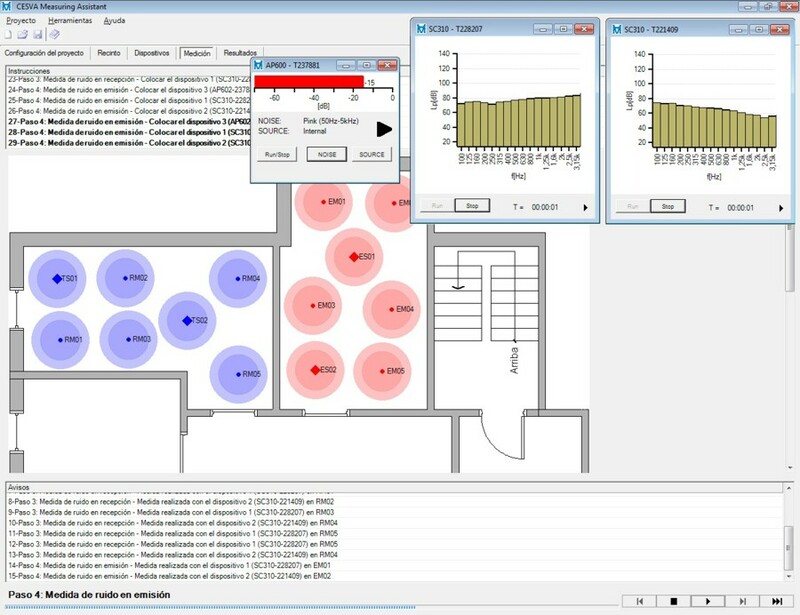 This new concept for measuring sound insulation centralizes the control in one computer where CESVA Measuring Assistant manages and synchronizes all the instruments via cable and/or wireless Bluetooth©. The application optimizes and guides the user interactively through the measurement process, optimizing the measurement points and the movements to minimize the time spent. 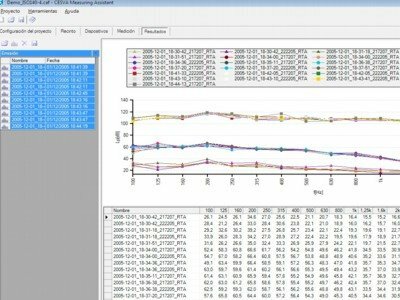 With this software application you will be able to turn a number of CESVA analyzers into a multi-channel wireless measurement system. The system is totally expandable, with just the acquisition of more devices, (analyzing sound level meters or sound sources). Measuring Assistant is a practical, user-friendly tool that helps you to save time and money carrying out sound insulation measurements (assembly, calibration, measurement, disassembling, data processing, calculations and report generation). 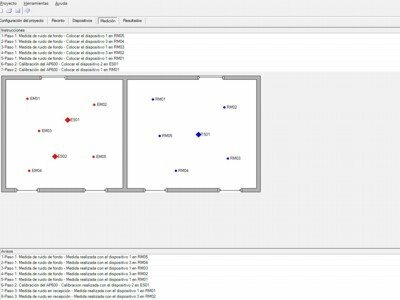 CESVA Measuring Assistant is a new generation software for the management of all resources taking part in an insulation measurement. It allows you to select the measurement standard, import a layout plan of the measurement place, select the measurement points and verify the contour conditions, (distances between measurement points, devices and edges of the enclosure). It automatically manages the devices (spectrum analyzers and sound sources) and guides the user, step by step, through the measurement process (location of the equipment, automatic start/stop of the sound sources, etc.). It also allows verification in real time of collected data (checking, in real time, the spectra measured, background noise, etc.) and repeating its acquisition, if necessary. The main objective of the application is to obtain the measurement results carried out through the corresponding norm. So, CESVA Measuring Assistant has a Results screen where the registers of the measurement results appear. 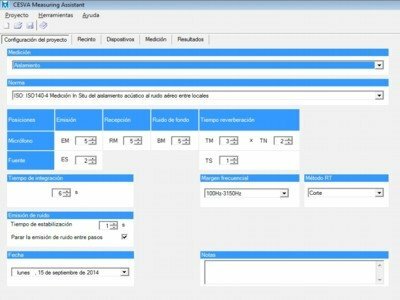 The application also interacts directly with CESVA Insulation Studio CIS to obtain the final report on site.